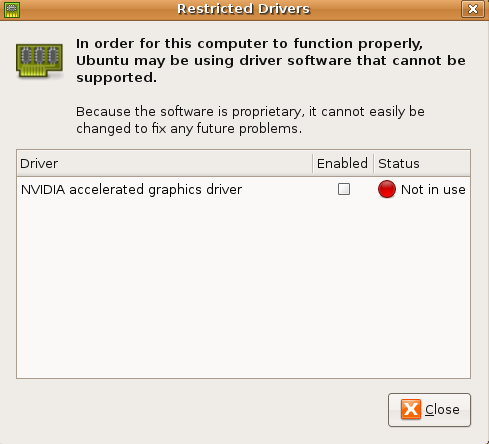 Ubuntu doesn't include Nvidia drivers in a default installation for a number of reasons. You can read more about Ubuntu's philosophical approach to free and non-free (think freedom, not cost) software and firmware in Mark Shuttleworth's blog. Mark Shuttleworth is Ubuntu's founder and currently its primary funder. New users tend to favor immediate functionality over long-term ideological gains, so if you have an Nvidia graphics card, you may want to install the Nvidia drivers for it. 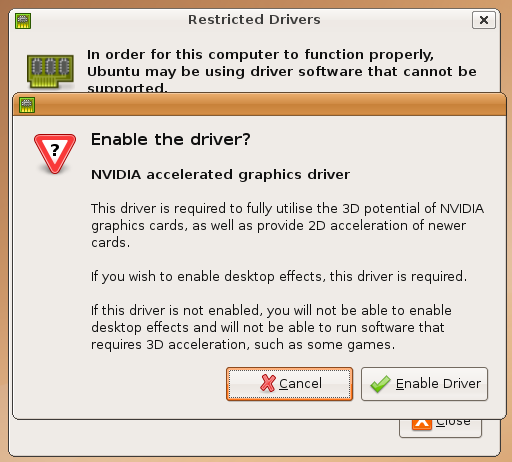 You'll then see that Nvidia drivers are not in use. Check (or tick) the box underneath Enabled to enable the drivers. 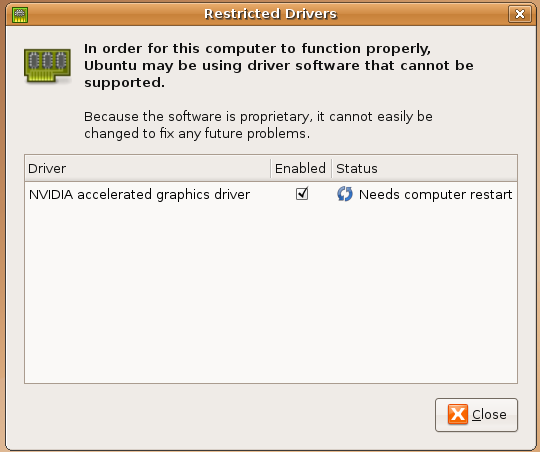 You'll then be asked (after a brief explanation about desktop effects) if you want to enable the driver. 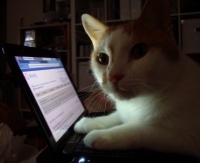 Click Enable Driver. Wait for the installer file to download. Wait for the drivers to be installed. Then, click Close once the changes have been applied. You'll then see that the drivers are enabled and will be available for use upon a reboot.